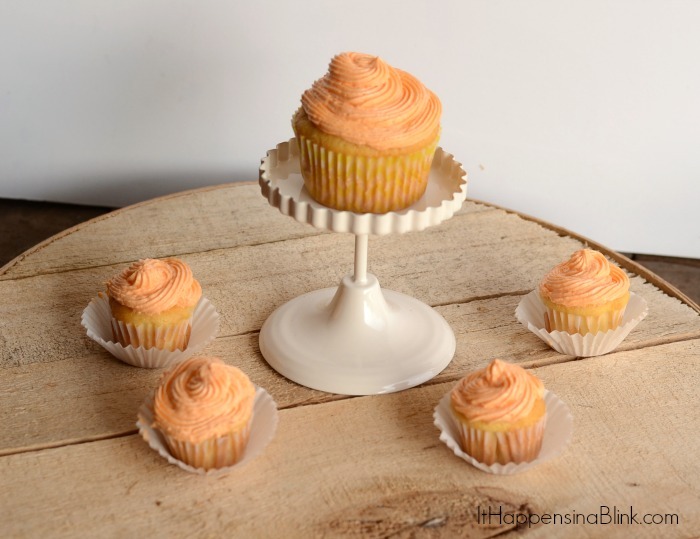 A few years ago, when I first began blogging, I posted these fabulous Orange Creamsicle cupcakes. The recipe actually won a bake-off contest at my place of employment back then. 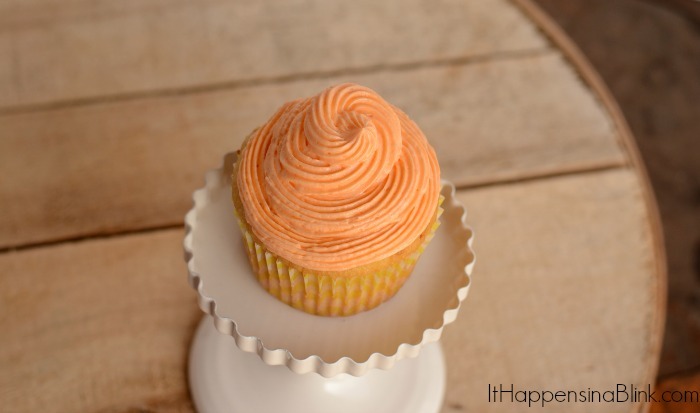 Since that time, I’ve learned a thing or two about baking, and I’ve perfected that recipe to one of the easiest, most moist, Orange Creamsicle Cupcake recipes ever! 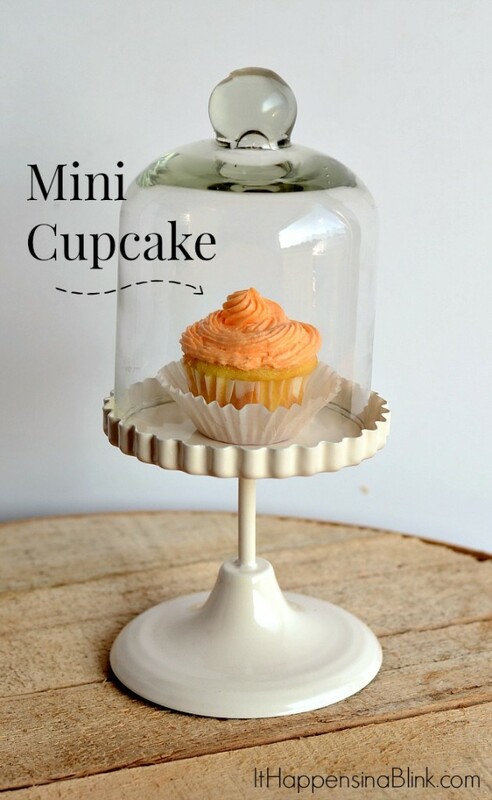 A special thanks to Gracie B. for the adorable Small Cupcake Stand featured in today’s photos. 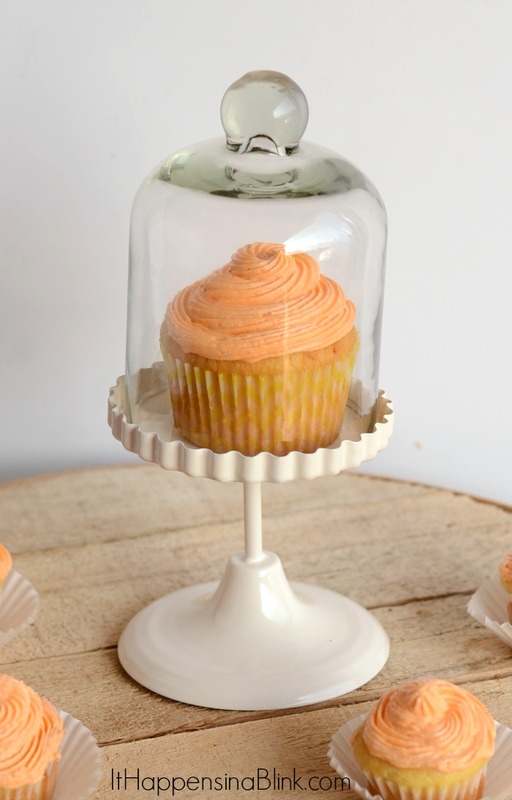 So keep reading for my tried and true Orange Creamsicle Cupcake recipe. Mix cake mix as directed on box. Add instant vanilla pudding and orange extract. Mix until combined thoroughly. Bake the cupcakes as directed on box. I split the cupcake batter into mini cupcakes and regular sized cupcakes. I like to have a variety. Using an electric mixer, beat the butter until it is light and fluffy. Add sugar, one cup at a time, and combine well. Add the orange extract in with the last cup of sugar. Mix well. If you find the icing too thick, add milk one tablespoon at a time until it is the desired consistency. If the icing is too think, add powdered sugar (about 1/4 cup) until it is the desired consistency. These cupcakes look even more delectable in the Gracie B. Small Cupcake Stand. 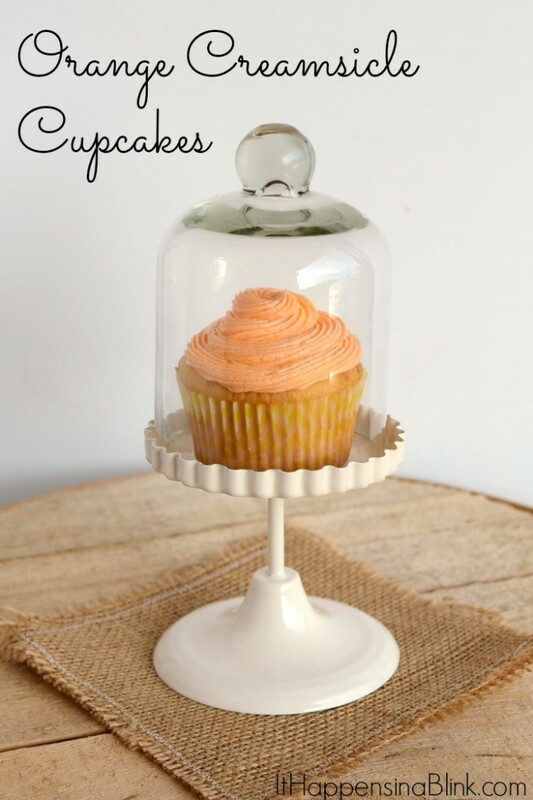 The stand is perfect for a standard size cupcake or a mini cupcake. 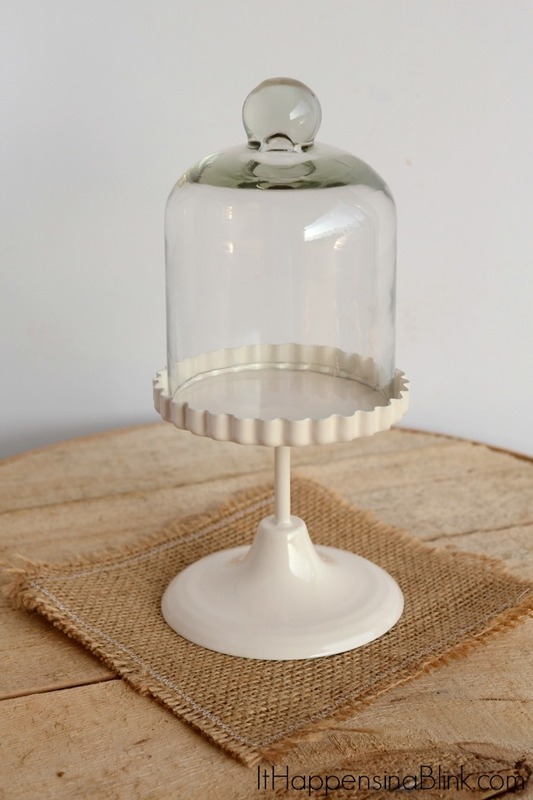 The stand is easy to clean, and I think it would make a cute gift– with a cupcake inside, of course! I make these and my recipe is almost the same. I also fill them with vanilla cream to give them a bigger kick.